Do you know it’s so rare that I write here that I cross my fingers each time that my computer will remember the password. It should be a simple thing to reset it but it’s not because I set this up in 2009 and many email addresses and wordpress sites have come since then. Such is the nature of the obsessive yet uncommitted blogger, there is a whole universe of blogs out there now orphaned, neglected, unloved and forgotten, which at one time held the words of my latest obsession. Ah well. So on to January detox. I had to detox this computer. Clearly a machine that is 7 years old should, according to Apple, be obsolete but ‘old whitey’ as he is affectionately known has held on doggedley despite being used by the children, covered in felt tip pen, loaded with all manner of enormous files including many films, now forgotten, and Adobe Photoshop (my God that is a HUGE file). Now it serves pretty much only for this blog and for Spotify. In detoxing it I have made it almost usable again. I had about 1% storage left, now I have 20%. What a technical genius I am. I detoxed myself too in January. Dry January is a rare joy. I fell off the wagon five times and in the words of my husband ‘hit every branch on the way down’. Well if you’re going to fall you may as well show commitment. In spite of my cynical attitude it was a Good Thing to do. I also got a Nutri Bullet – woe betide the innocent vegetable or fruit that enters this house, it will be blasted within seconds. 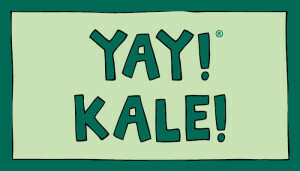 I didn’t even know what Kale was before that smoothie-blender-on-acid entered my life. Now I’ve consumed a small filed full. In fact I’ve been drinking so much green juice that I’m genuinely surprised and not a little pissed off that I got a cold. I think my body is protesting at the onslaught of vitamins, minerals and general good stuff along with the lack of alcohol. It doesn’t like it, see? This I knew already but it’s good to prove it. I can continue to drink safe in the knowledge it is good for me. As long as I balance it with enough kale of course. My running has been sporadic, It really is rather time consuming running a business and being a mother. You expect it to be emotionally and mentally draining, but it’s a physical thing too. Woe is me. We said goodbye to our au pair a few weeks ago. It was emotional for Eliza. Surprisingly so actually. I am always quite relieved when she gets upset about that sort of thing, not in an unkind way, just in a confirming that she’s not a psychopath kind of way really. I’m sure this is a perfectly normal sentiment for a well-balanced and grounded mother such as myself. a)it’s a total nightmare having someone living in because you can no longer run around naked for fear of running into them. I don’t know about you but it’s been a VERY long time since I ran around naked and I’m pretty certain she’d be more scared than me if I ran into her. b) Or that they will want to spend all their spare time with you. Again I think this is a rather conceited view. Why on earth would anyone want to spend their spare time with the shouty harridan mother they see every morning? c) My personal favourite though is the assumption that having an au pair means I’m either terribly grand or terribly posh. Neither is true. But a childhood of having my diction corrected means that I do speak nicely so maybe that’s where the confusion lies.. I made no resolutions. Why bother? Run more, eat less, drink less, be nicer etc etc. Guaranteed they will be broken so why set up for failure? I have decided not to shout at the girls though. It achieves nothing and makes us all feel like crap. So maybe after 8 years of parenting I have finally learnt something. In fact one thing I have absolutely learned beyond all doubt is that whilst I will continue to make mistakes, as we all do, I do so with love in my heart and joy in my soul. Particularly because both the girls have taken to telling me that I am wonderful and amazing lately. Doesn’t get much better than that, and it’s unlikely to last beyond school drop off tomorrow so I’m holding on to it.